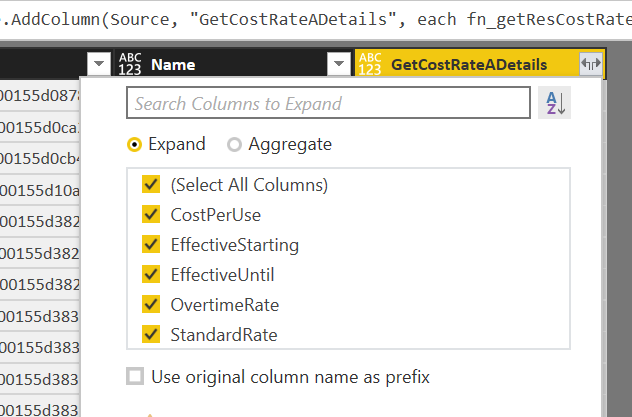 The resource cost rate table details are not available in the Project Online / Project Server OData Reporting API (_api/ProjectData) but they are accessible using OData but from the CSOM REST API (_api/ProjectServer). 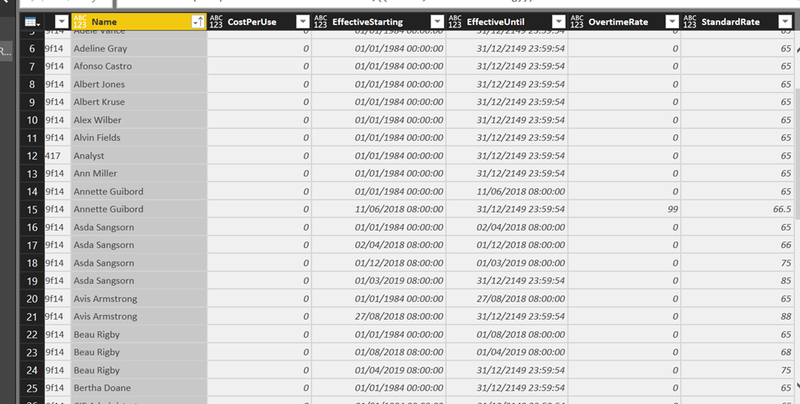 In this blog post, I will walkthrough getting this data into an example Power BI report. It wont look pretty, that’s not the idea of this post! 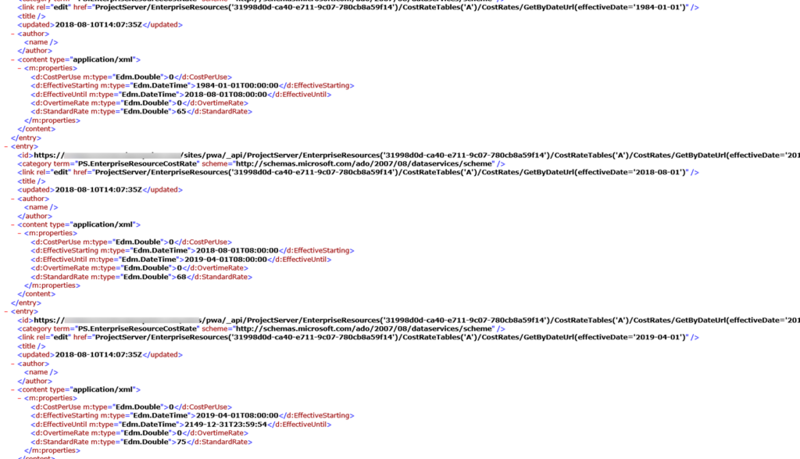 To get all of the resources different cost rate A details, you would need to dynamically pass in the RESGUID. In the steps below we look at doing this in Power Query so this would work for either Power BI or Excel but for the purpose of the blog post, I’m using Power BI. 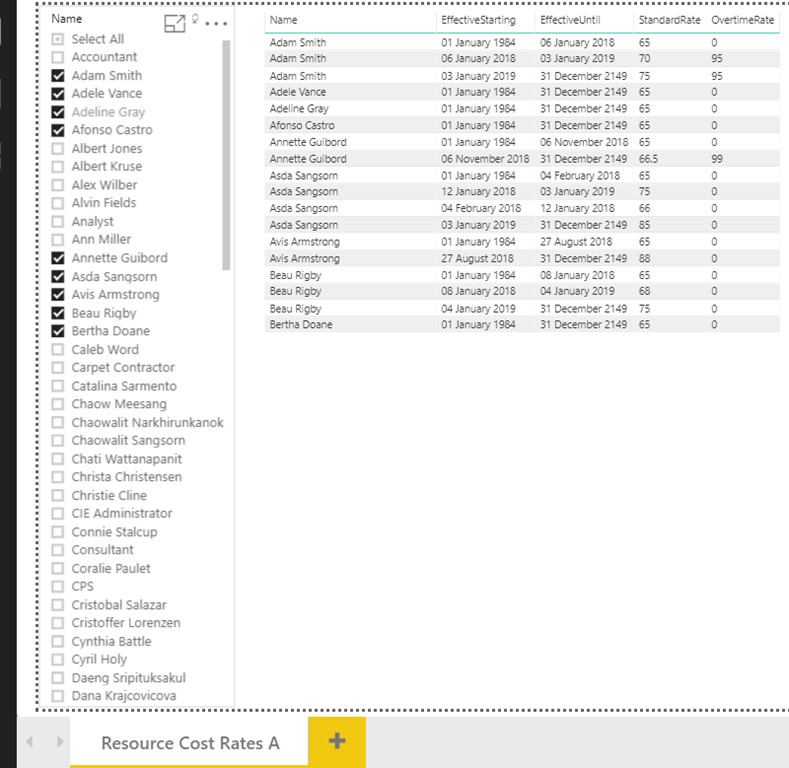 Notice for those resources with multiple cost rate table entries there are multiple rows per resource. These are just resources from the Microsoft Project Online demo content with updated cost rate entries. Hi Paul, once again a very interesting and useful post! I assume the same about updating it in the Power Bi App is valid here?